About Us – Wilson Community Improvement Association, Inc.
Wilson Community Improvement Association, Inc. (WCIA) was created in 1968 by a group of local citizens that had dedicated their lives to bring hope to the hopeless and, where possible, change conditions that seem impossible to change. 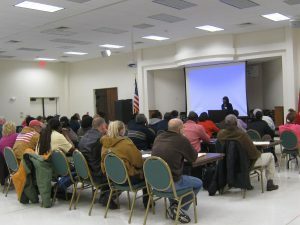 The name Wilson Community Improvement Association was chosen because it explained the intentions of the vision the group had for East Wilson. After many confrontations before the local government, many small changes such as improved city services, housing code enforcement, annexation and others began to take place. This beginning cooperation and working together won the All American City Award for Wilson and helped set in motion a mutually beneficial relationship between WCIA and local government. WCIA continued to raise its position within the community by developing and implementing a number of successful programs. 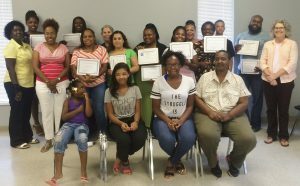 These programs included educational classes at Wilson Technical Community College, a day care center, youth and elderly programs, home ownership workshops and counseling that led to a number of new subdivisions. 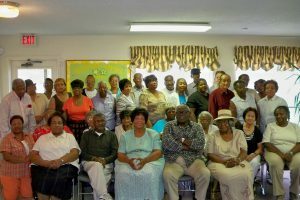 In 1984 WCIA completed 38 units of housing known as Gee-Corbett Village for Senior Citizens. WCIA was moving from an “Improvement Association to a Development Corporation” so in 1989 WCIA was incorporated as a CDC. WCIA accomplishes the same by building and supporting stable, safe, economically viable neighborhoods and engaging in individual, family and small business development. WCIA has been an intricate part of the Wilson community for over 48 years and has worked for human and economic development—the nurturing of the whole person in the community. We have evolved into a key organization within our community that provides better housing and promotes community economic development in low to moderate neighborhoods. We not only have provided housing but also have created jobs and economic opportunities for our residents. Besides restoring lives and communities, WCIA has restored structures by renovating both housing and commercial properties; Beacon Pointe is a 104 unit complex of one to four bedroom apartments providing decent and affordable rental apartments to low to moderate income families. 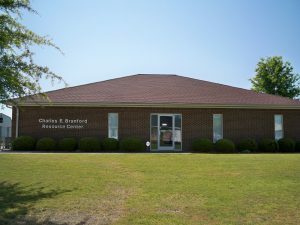 Counseling, educational opportunities, job training possibilities and human services were woven into a fabric of services that are made available to every resident in this community. The Mercy Business Training and Development (MBTDC) previously known as the Old Mercy Hospital, today houses the headquarters of WCIA and Community Barber and Beauty Salon. We also have the capacity to offer referrals, affordable rental space and business development to small and emerging businesses. Two neighborhood resource centers were developed to promote family values and provide one stop training, referral and support services to youth and families in the neighborhoods. 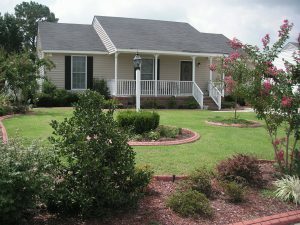 The organization has developed over 150 units of single family housing in the Adventura East I and II subdivision. A national award winning community comprised of low to moderate income families. The community was brought to life through creative partnerships between East Wilson neighborhoods, churches, financial institutions, private foundations and government agencies. Genesis Hills Subdivision is located in Greene County and is a replica of Adventura East I and II with 67 available lots. In addition to the 13 floor plans, houses now include garages and feature three or four bedrooms with 2 baths and maintenance free exteriors. The development serves families whose income is 50-80% below county median income limits. WCIA Financial and Homebuyer Education Classes – An extremely important achievement and one for which WCIA is very proud is the financial and homebuyer program in which we continue to see an increase in the number of potential homeowners who are looking to achieve the American Dream. This a joint partnership between WCIA, WCDSS, NCHFA and other agencies. Financial security and stability as well as self-sufficiency are achieved by the clients whom WCIA and DSS serves as the participants wholeheartedly engage in a proactive approach towards those goals. As a result of this partnership our clients, the participants, have achieved life-altering changes that have lead to a better quality of life for them. 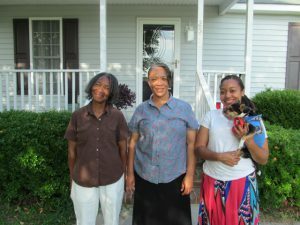 Foreclosure Prevention Program– WCIA’s Foreclosure Prevention Program offer one-on-one mortgage delinquency counseling to homeowners who are struggling to pay or keep their mortgage current. WCIA continues to exceed goals established by the State Foreclosure Prevention Program. In partnership with District 7 “Arms around Wilson” two community cleanup campaigns were held. 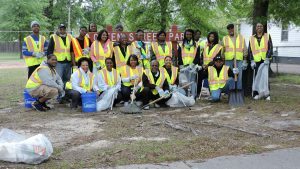 The neighborhood cleanups usually include a minimum of 6 blocks and a park and over 60 volunteers. In addition to all the community services WCIA has been able to invest or leverage investment into the communities they serve. 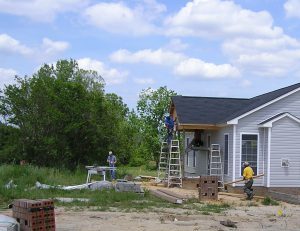 Since 1991 almost 50.4 million has been spent on housing construction on 177 homes and over $11.3 million worth of mortgage loans has been distributed within the communities served. The MBTDC was an $810,000 investment, Beacon Pointe total investment was $5,642,860, Family Resource Centers was a $400,000 investment and Gee Corbett Village has been a 2.9 million investment in the community. The total WCIA Development Project investment has been over $70.6 million. The development projects continue to have a very positive impact on individual lives and the community at large.